Coal dust combined with naturally damp weather in the 19th century to create near twilit conditions in London, even at midday. 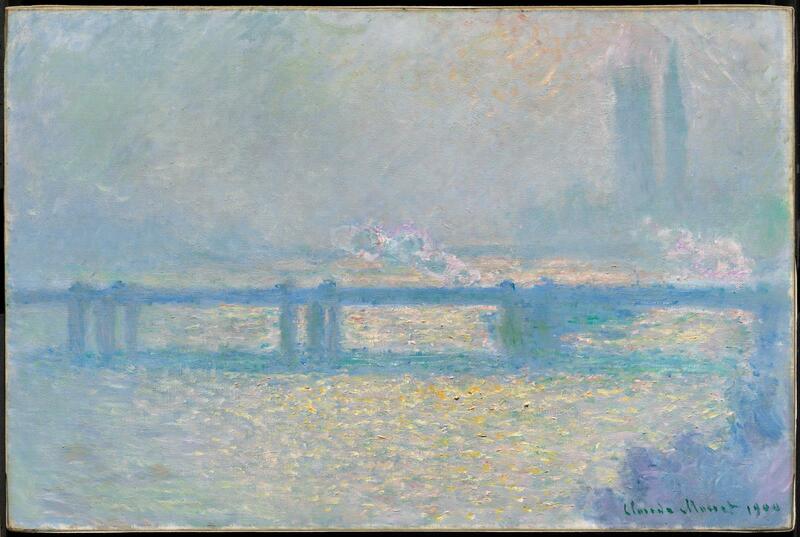 Seated on the balcony of his hotel room overlooking the Thames, Monet produced thirty-five views of Charing Cross Bridge in September of 1899, using the city’s polluted atmosphere to poetic ends. Glittering reflections of yellow sunlight dapple the water through a violet fog, dissolving the bridge and distant towers of Parliament into hazy abstraction. The provenance information given here (to 1907) was provided in a letter from Michèle Paret, Les Beaux-Arts, Paris, to Lucretia Giese of the MFA (July 28, 1970; in MFA curatorial file).